Wagyu Shabu Shabu at its finest. Gyu jin has a buffet concept, and each person pays HK$ 318 for unlimited Supreme Wagyu slices plus lots of fresh veggies, seafood balls, mini sausages, noodles and fried rice. There are different types of broth available, but my friend D recommended that we have the Sukiyaki broth. I was glad that we listened to him as the broth was flavorful and went very well with the rich beef slices. After our ravenous bunch had countless platters, we finished off with scoops of Haagen Dazs Ice Cream. There are four flavors available in unlimited quantities as well. 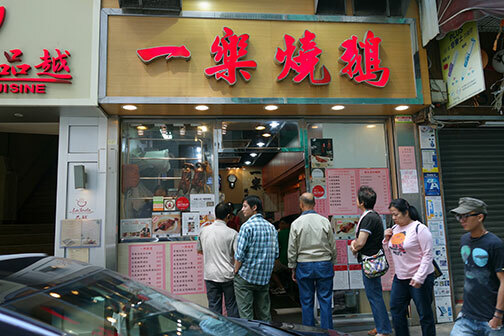 Originally a New Territories outpost, Yat Lok has opened another branch in busy central. Roast Goose is the specialty here and it is excellent. One can have it topped with rice, dry noodles or in a soup stock. 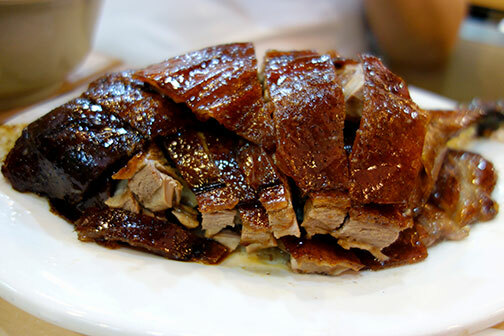 Or you can do what we did: Order half a goose for HK$58 and eat it as ulam with your choice of rice and noodles as accompaniment. The goose was smoky and slightly charred and the skin was quite crisp. We also ordered some roast pork (Char Siu) to try but it was forgettable. Stick to the goose and you won’t be sorry. The only Caveat is that space is in this restaurant is a luxury. Be prepared to share cramped tables with other diners and also, for a line outside during peak hours. 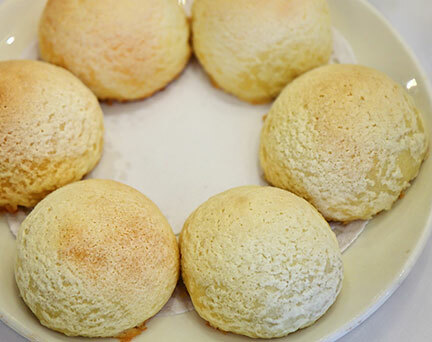 We had Dim Sum at 1 Michelin Starred Fu Sing Sharks Fin Restaurant for Brunch one morning. Standouts were the Baked Barbecue Pork Buns with its warm, crisp bread-like outer and what is touted to be one of the best Char Sius in town. I highly recommend these two dishes. We also ordered a few other types of Dim Sum and they were all very good and highly refined. Fu Sing has now become one of my favorite Dim Sum Stops. A must for those who love cocktails. Owner and Bartender Masayuki Uchida brings out all the stops and meticulously prepares some of the best cocktails in the city. One can choose from the menu or leave it up to Uchidasan to prepare a surprise based on what is available. 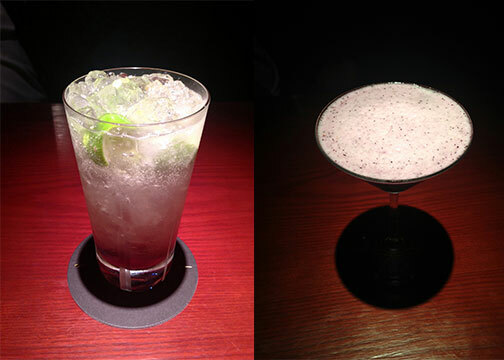 Cocktails with fruit are very good here as well as their special Shiso Leaf Mojito. I first had a cocktail made with blueberries that had a smoothie like texture although quite good I found a tad sweet. My friends loved it though and finished most of it. Then I asked for a Bloody Mary and I was served one of the best ones I had in my life. This Bloody Mary had fresh tomato juice that went through a sieve for extra smoothness. It was well balanced, with a strong extra spicy finishing kick that I love. Most drinks are in the HK$100 range and there is a HK$200 deductible minimum per person plus a HK$30 “snack” fee. A small price to pay for perfection. I had a quick lunch here before leaving Hong Kong. I always have one of my favorite sandwiches, Le Sandwich Jambon Gruyere (HK$58). 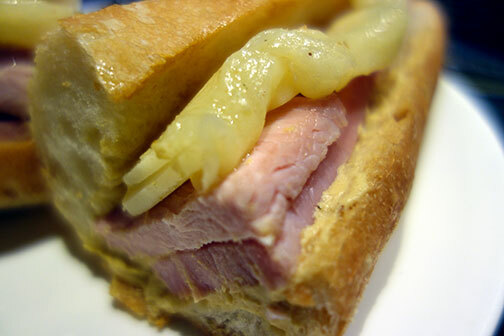 A crusty, freshly made baguette slathered with mustard on one side and French butter on the other topped with generous slices of Ham and Gruyere Cheese. Deceptively simple, but sometimes, the best things are such. I normally finish off with one of the salon’s signature pastries paired with their excellent Blue Mountain/ Kona coffee blend. On a side note, Le Salon de The is quite popular, and no reservations are allowed, so be prepared to queue up between 1PM till about 5 PM.